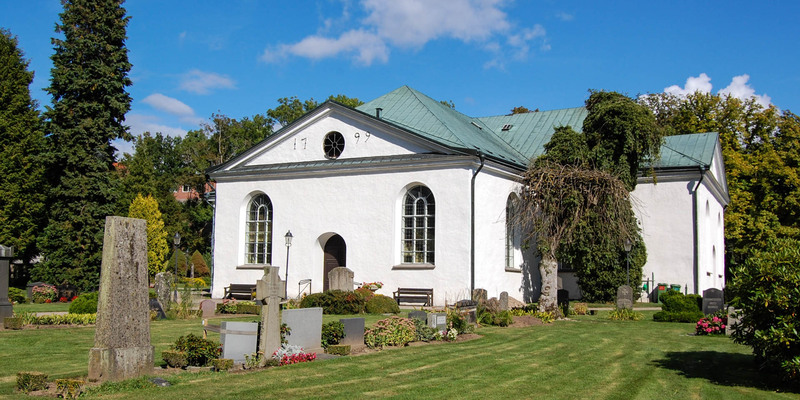 The Asarums Kyrka dates back to the 13th century and is centrally located in Asarum, a suburb of Karlshamn, about 4 kilometers north of the city center of Karlshamn. The church has a cruciform floor plan, bricked natural stones and white plaster. 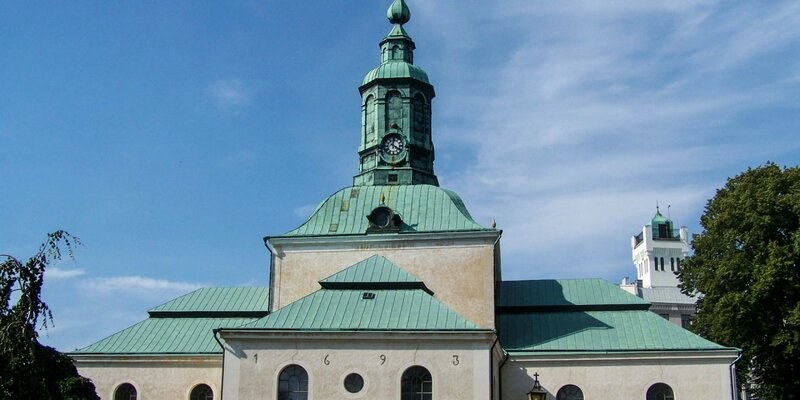 Originally, the Asarums Kyrka was a rectangular building, with a narrow and low choir with apse. The altarpiece was painted in 1866 by local artist Bengt Nordenberg following the Rubens painting Christ on the cross. 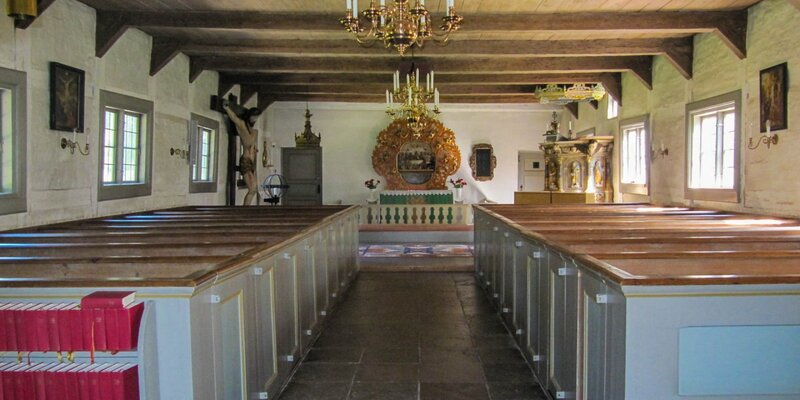 The pulpit and the wooden baptismal font are from the period around 1876-78. There is also a baptismal font of limestone from the island of Gotland, originating from the 13th century. 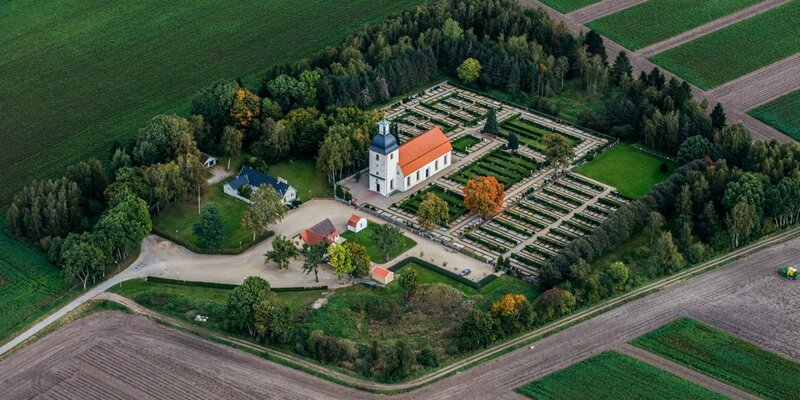 The church has no bell tower, but a wooden bell scaffold standing on a hill southeast of the church since 1665. Between 1697 and 1706 the northern transept and between 1749 and 1750 the southern transept was added. In the years 1797/1800 the remains of the medieval church were demolished, the cruciform floor plan was formed and the façade got today's neo-classical appearance.